Do you have trouble getting out of bed with your stiff back? Do you lumber home after a long day at the office and are unable to get rid of that persistent ache in your lower back? If so, you’re not alone. Around 65 million Americans suffer from regular back pain and it’s one of the top reasons we take a sick day at work. But it’s not all doom and gloom — around 95% of back pain doesn’t require surgery. So what’s the cure? We’ll give you a clue: it’s not a lifetime of popping over-the-counter pills. Back pain may be common, but it’s not something we should ignore. The pain you feel is your body’s way of telling you that something isn’t right and you should listen to it. Failure to do so can lead to severe problems in the long run and can have devastating consequences, affecting your enjoyment of everyday life. Fortunately, there’s no need to resign yourself to your bed if you suffer from back pain. Get up, move around and reclaim your body with our natural hacks for instant back pain relief. Modern life has taken its toll on our bodies in more ways than you might think. All those long hours of sitting at our desks, carrying groceries and children and endlessly scrolling on our phones have consequences. We have developed bad habits that have led to bad posture. Slumped shoulders and overly curved spines are evidence of our daily battle to stand up straight and poor posture is one of the leading causes of back pain. Without proper alignment, our joints are put under unnatural pressure, which leads to that familiar back pain. To combat this, simply straighten up. Stand tall with your weight evenly distributed between your feet, set your pelvis in a neutral position, pull your chin in and lengthen your neck. It only takes a few minutes, but taking the time to practice realigning your posture every day will lead to a radical difference in how you hold yourself. Just like peanut butter and jelly, strawberries and cream and mac ‘n’ cheese, back pain and sleep disorders go hand-in-hand. 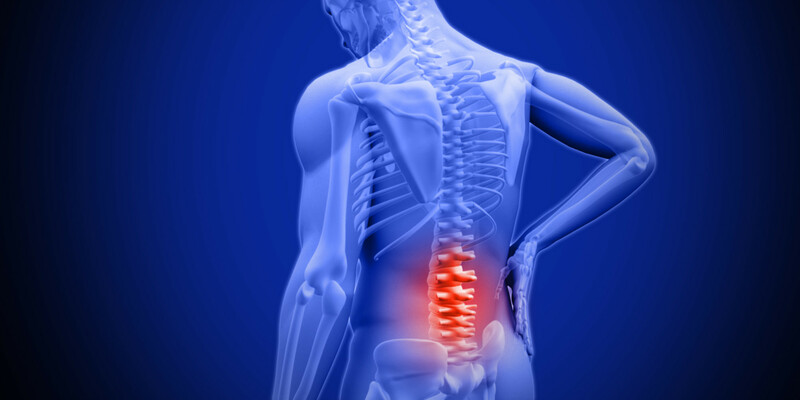 Did you know that roughly 65% of people who suffer with back pain also experience a sleep disorder? It’s the ultimate vicious cycle. You can’t sleep because your back hurts and then, because you can’t sleep, your back pain worsens. On and on it goes, restless night after restless night. So how can you break the cycle? Try switching up your sleeping position. If you typically sleep on your side or your stomach, you could be making matters worse. Instead, try sleeping in a reclining position. Plump up your pillows so that your head, neck and back are supported. The extra support will take pressure off your back, so that your sleep is more restorative and healing. There’s nothing better than a massage to restore aching muscles and provide a sense of deep relaxation. The flickering candlelight, the sweet-smelling oils, the rhythmic strokes: it’s the ultimate treat. A massage doesn’t have to be reserved for birthday treats or vacations and getting a massage regularly can also help ease your back pain. Massages promote circulation, boost endorphins, ease stress and relax the muscles. They help your body to repair itself. If you don’t have the time or money for regular visits to a massage therapist, a home massager is a great economical solution, giving you spa-quality relaxation from the comfort of your own home. When back pain strikes, what’s your first instinct? Do you clamber into bed or go out and get some exercise? We’re guessing the former — when you’re in pain, the last thing you want to do is go for a run. Pain responds well to rest and your bed is just so comfy — it’s all too tempting to put your feet up. While you may not want to admit it, regular exercise is actually far more effective at fighting pain than curling up in bed and can reduce pain by 28%. We’re not suggesting heading to your closest CrossFit box or running a marathon, just low-impact cardio and strengthening exercises. Exercise helps to lubricate our joints and keep our weight healthy. There’s nothing wrong with a little bit of extra padding, but those extra pounds add pressure to your lower back that can lead to the compression of discs and nerves. Swimming is a great option because the buoyancy of the water will support your body, while working your heart, lungs and muscles. Yoga is also a brilliant choice for those suffering from back pain. Gentle and relaxing, yoga promotes flexibility and joint mobility, which help to support and protect your back. There’s nothing like a hot bath at the end of a stressful day. Something magical happens when you combine foamy bubbles, warm water, candlelight and some traditional you-time. But did you know that soaking in the tub is also a great way to cure back pain? When you’re submerged in the warm water, the pressure on your spine is relieved and your body is put in a rested state, primed to recover. Baths have also been proven to help induce sleep — we now know how important a well-rested sleep is for alleviating back pain. To take your bath time routine to a new level, try experimenting with hot and cold therapy. As the name suggests, this therapy uses temperature to address inflammation and nerve damage. Run a hot bath and a cold shower and hop between the two. The differences in temperature work wonderfully together: the cold acts as an effective anesthetic, while the hot water stimulates blood flow to painful areas. Laughter is a universal cure. Think about the last time you laughed — really laughed — remember how happy and positive you felt and how all the stresses, aches and pains seemed to disappear, if only for a moment? When you laugh, you increase your oxygen intake and the production of endorphins — the happy hormone. Endorphins block the pain signals to your brain, helping to ease those pesky aches and pains that just won’t go away. Put on your favorite comedy, catch up with friends or, if you’re feeling adventurous, do some laughter yoga and reap the benefits of cracking up. Ever heard of the phrase “mind over matter?” It’s the idea that you can control physical sensations using the power of your mind. We’re not saying that your pain isn’t real — you feel it, so it is real. But we’re constantly learning more about the complexities of pain and how it works — and it’s not all physical. Our bodies register pain based on a signal sent to the brain that tells us we should be feeling pain. These signals can be intercepted and manipulated. By focusing your mind, you can distract your brain, effectively tricking it out of registering the pain signals. Of course, it goes without saying that, if the pain persists, you should see a doctor.